The controversial doctor who was with Michael Jackson the night he overdosed on anesthesia is in new trouble now. He may face an arrest warrant. This threat of arrest faced by Michael Jackson’s doctor has nothing to do with any charge the doctor may face in Jackson's death. 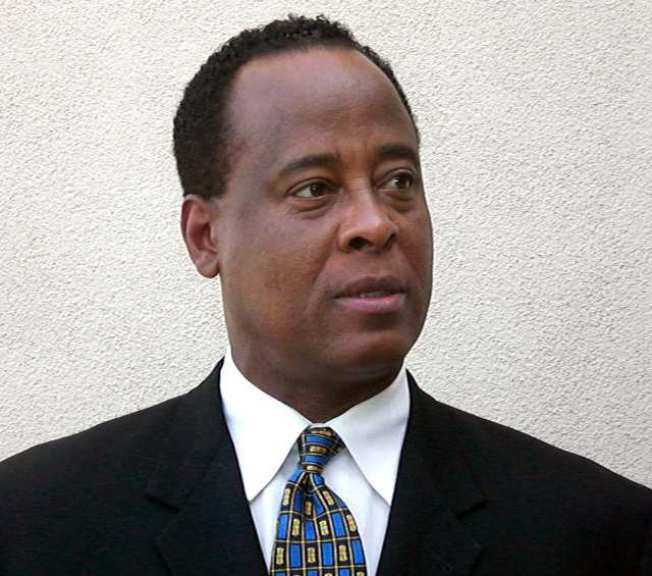 Wherever he is, and it's not known where he is, Dr. Conrad Murray may face a bench warrant due to his failure to appear at a child support hearing in Las Vegas on Wednesday. The warrant must be approved by a district judge. Murray reportedly has owed more than $13,000 in back child support to Nenita Malibiran, who lives in the Sacramento area with a baby she bore Murray out of wedlock. We now know that in the Spring, when Murray took on the position of Michael Jackson’s personal physician for a salary of $150,000 a month, he was already in financial trouble on a number of fronts. One of those being a defaulted mortgage on his home in Las Vegas. Because of Murray's history of back child support, the Clark County District Attorney says he will ask the Nevada medical board to suspend Murray's license to practice medicine.